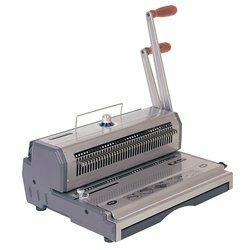 The WireBinder 3 is a hard wearing and efficient wire binding machine. The efficiency of two handles make this coil binding machine a popular choice in many offices. 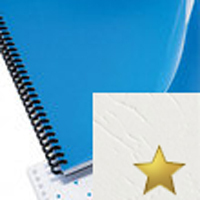 It features fully disengaging punch pins allowing precise punching for a variety of document sizes. 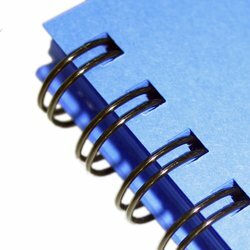 This is the manual wire binder of choice at Bound to Impress, with its metal construction, full set of pin selectors, the ability to flip and punch A3 books on the long edge and the open throat wire closer. This truly is a classic machine within the binding industry. Long one of the more popular binding systems on the market, the WireBinder 3 works with double loop wire and comes in either a two to one or three to one pitch configuration. In the following report, we will take a closer look at the WireBinder 3 and list what we consider to be some of this machine's strengths and weaknesses. One of the great features of the WireBinder 3 is that it is available in either a two to one or three to one pitch. This means that you will be able to choose the WireBinder 3 that is right for the needs of your office. 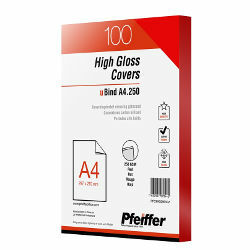 With its dies that are fully disengageable and the punching throat that fits paper up to legal size, the WireBinder 3 can punch letter, legal, half letter, A4, and really, any document of any custom size less than 14 inches. It is also important to note that the punching throat is of an open design meaning that the user can punch holes in longer documents using a two step process. We found that the design of the WireBinder 3 made it very easy to use. The user controls the machine's wire closer with a knob that is conveniently placed on top of the machine. The knob, like the rest of the machine is made of metal, and should last for years without any problems. We also liked the wire holder that is placed on the front of the WireBinder. 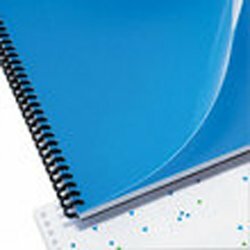 This makes the binding process just that much easier by holding the spine in place while the user hangs the pages onto the document. We thought that the WireBinder 3's punching capacity was pretty impressive at around twenty pages. This is actually a pretty nice punching capacity especially when you consider the price point of this machine. Though we liked the punching capacity of the WireBinder 3, it is important to understand that it is, after all, still just a manual punch. 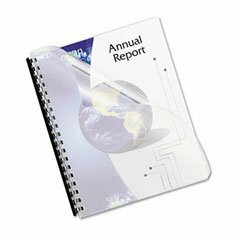 Therefore, if you are going to need to bind large numbers of documents, or even to do smaller books in a hurry, you may want to consider purchasing an electric punch. Using a manual punch can get a little bit tedious for larger projects. Any wire holder is better than no wire holder, but the clamp style holder that the WireBinder 3 provides is kind of tricky to learn how to use. This is especially true if you are used to the hook type of holder that most other machines of this type utilize. Not a huge deal, just something to be aware of. As stated above, you will have the choice of either two to one or three to one pitch pattern on your WireBinder 3 This is fine if you are pretty sure that you are only going to want to use one type or the other. If you think, however, that you will want a little more flexibility in the documents that you are able to bind, you might want to investigate a machine such as the Wirebinder Duo Combo. This product was last updated on Friday 25 January, 2019.